When it comes to the plumbing, heating, and cooling of your home or business, you want only the best services. At Rite Rate Heating & Cooling, we’re an affordable and reliable plumbing, heating, and air conditioning company in Winfield, NJ. We have a team of HVAC contractors and plumbers that are highly trained, licensed, and insured to service all residential and commercial plumbing and HVAC systems. Rite Rate offers installations, maintenance, repairs, and replacements. We’re specialized in everything from sewer cleaning to heating repair! If you want guaranteed customer satisfaction and services you can count on, call Rite Rate today. As a trusted heating company in Winfield, NJ, Rite Rate takes pride in offering 24/7 heating repair, effective replacements, new installs, and routine maintenance. Our contractors are experts at fixing and installing all makes and models of commercial and residential boilers, furnaces, and hot water heaters. 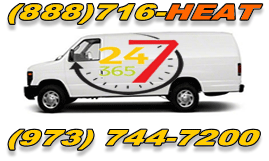 If your heating system is broken don’t wait until business hours to contact us. Regardless if it’s the middle of the night, a holiday, or on the weekend, we’ll respond quickly with emergency heating repair in Winfield, NJ. Our technicians can service all fuel systems including gas, oil, electric, and steam. We’ll also install any new heater based on your budget and size of your location, as well as scheduling routine maintenance. Contact Rite Rate Heating & Cooling for a free estimate on our heating services! Are you having trouble finding an air conditioning company that’s pocket-friendly and competent? Look no further than Rite Rate because we’re the go-to air conditioning company in Winfield, NJ. With our team of qualified contractors, we guarantee we’ve got you covered when it comes to air conditioning repair, maintenance, replacement, and installation. There’s no air conditioner job that’s too big or too small for our technicians. Rite Rate excels at servicing heat pumps, packaged air, central AC, forced air, ductless air conditioners, and air handlers to name a few. Let our air conditioning company assist you with first-class air conditioner services for your home or business. Rite Rate has been offering emergency plumbing services for many years on a 24 hr basis. Our plumbers work around the clock 365 days a year to offer you the best heating repairs, replacements, and installations. If there’s a frozen pipe that’s burst or a clogged sink, our plumbers will fix it in no time. Our company offers everything from water damage restoration to sewer cleaning. If you need a drain, toilet, sink, faucet, bathtub, shower, or sump pump repaired, replaced, or installed, call Rite Rate 24/7!